…So you bought your pallet racking “off the internet”…? We all like to brag how we bagged a “bargain on the internet”, and undoubtedly there are many areas of purchase that lend themselves particularly well to the online marketplace. However, just like the cheap flights that seems to cost as much as a scheduled flight, by the time you’ve added the taxes, paid by credit card, checked your bags, paid for the privilege of not being treated like cattle or, god forbid, actually speak to a person on check-in, there are many pitfalls in purchasing pallet racking in this way. The situations that are the most concerning, are the customer’s that tell us they’ve bought second-hand industrial racking off the likes of eBay. This is quite different from buying an item such as an electrical appliance that either works or doesn’t work, or furniture where the condition is clear from a visual inspection. Pallet racking is an engineered product with precise tolerances calculated to safely support the imposed loads. These can run to several tonnes of goods suspended at height and thus over the unprotected heads of employees and visitors to a warehouse. It is required by law to be serviceable, fit for purpose and to be certificated as such by a competent person to SEMA standards by regular inspections. It never ceases to amaze us how often the directors of a business expose themselves to this risk in their excitement about bagging a bargain. Industrial racking bought this way is unlikely to have been calculated to receive the new loads, there is no account of its previous conditions of use, and there will be considerable difficulties in getting any reputable company to issue load notices to put on the rack – which are required by law. 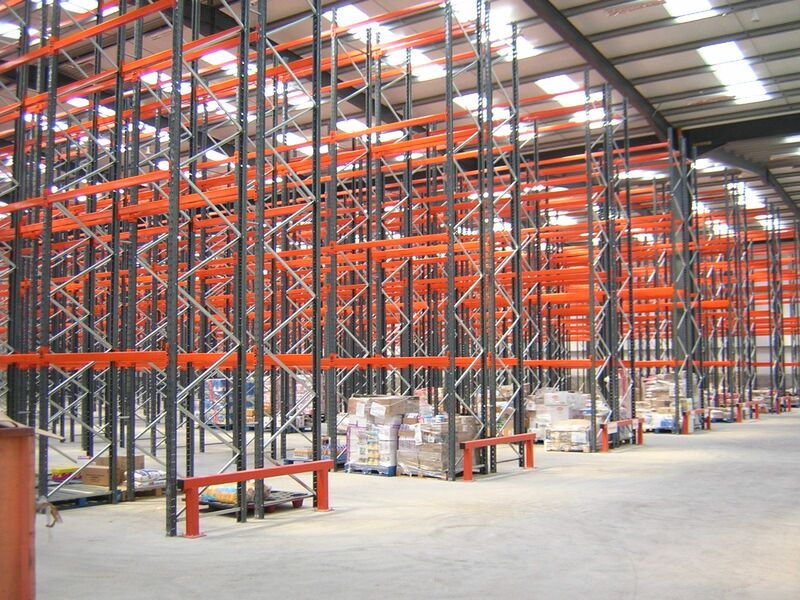 Turning to purchasing new pallet racking on the internet, this too can hide potential costs and dangers. Most end users would agree they are no experts in pallet racking design. Pallet racking is a great way of utilising the cube of your building, maximising the use of expensive productive space. Customers buying on a serve-yourself website are unlikely to maximise the use of the space in their design. An SEMA Distributor Group member would always offer to visit site, to design the rack to best utilise the space, to minimise the equipment used to achieve maximum density, and often produce full CAD designs of the installation within a building. There are also specific guidelines issued by SEMA that cover pallet racking safety, including the tolerances of clearance and overhang, imposed load and condition of pallets that would impact on the design of pallet racking required for safe operation. It seems a travesty that such a large amount of space could be wasted through simply not taking advantage of the (most often) free industrial racking design services that an SDG member would offer. Additionally, designing to the SEMA code ensures not only that the rack is fit for purpose re pallet racking safety requirements, but also takes into account advice on the speed of access to pallets being put away or retrieved. Buying blind, without detailed expert on-site advice taking into account your specific needs risks the design being inefficient operationally. Both these issues carry significant, if hidden, costs to a business.